Trinkaus, Charles (1973). 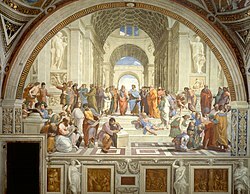 "Renaissance Idea of the Dignity of Man". In Wiener, Philip P (ed.). Dictionary of the History of Ideas. ISBN 978-0-684-13293-8. Retrieved 2009-12-02. This page was last edited on 21 March 2019, at 17:17 (UTC).